If you’re a music tutor, music leader, community musician or other professional working through music with children and young people, this is the place where you’ll find information that’s relevant to you and your practice. To keep informed and up to date, please sign up to our newsletter. We will let you know about upcoming training opportunities and other developments that may be useful. All of the courses and training that are currently available can be found on our Events page. Lancashire Music Hub has pioneered the use of modern online teaching resources in music teaching. 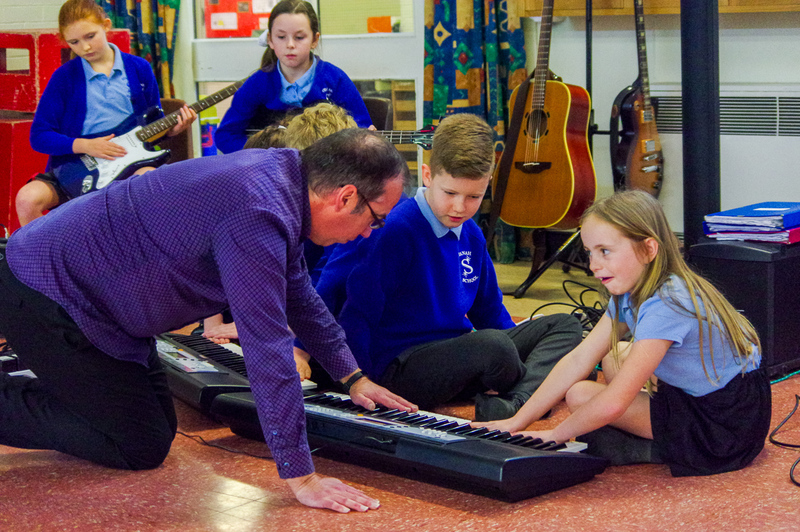 Lancashire Music Service teachers clocked up over 14,000 hours of online usage of the Music Professional programme in the past 12 months and over 11,000 Lancashire children have used the Music World programme since we launched it 3 years ago. Take a look at what’s available to music educators and children in Lancashire by looking at the programmes listed. If you’re a member of school staff, check out the schools sections for information tailored to you.